An ideal hosting environment can differ from business to business. This is what makes it so difficult to choose the right hosting environment for a website. However, it is essential to cut costs and maximize value you receive, especially when faced with limited resources. Although there are various hosting solutions, companies are now turning to fully managed solutions. 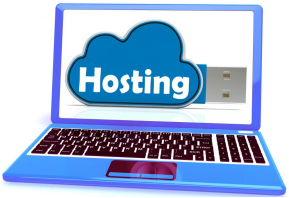 Dedicated and cloud based hosting are two of the most efficient options you can choose. Even when your choice is cut down to two options, it doesn’t get any easier. Let us help you learn what benefits you receive from each of these hosting environments, so you can find your right fit! Cloud hosting is a relatively new concept. These are advanced techniques that allow multiple machines to act as a single system. When you opt to host your website in a cloud based environment, it will actually be hosted on a virtually partitioned server. This server itself draws resources from existing server network. Cloud hosting is a reliable solution as the resources come from multiple servers. Even if one of the servers goes down, other servers will be available to take its place. If your site demands more resources, you can simply add them to meet the growing needs of your business. As a cloud storage provider, Global Host Inc. offers countless benefits, including free OS reinstall, free DOS protection and free control panel installation. A dedicated server allows you complete access to resources which isn’t shared with any other user. An actual physical server will be dedicated to your website where all your necessary files will be stored. Dedicated servers are often equipped with hardware specifications, so choose a server that meet the needs of your website. These servers offer high performance, easy configuration and optimal security for your website. It is the best option for established websites that receive huge amounts of traffic. Also, it is a suitable solution if your website requires high level of data storage or improved efficiency. As dedicated server hosting providers, we also offer free OS reinstall, free DOS protection, free control panel installation and 100 GB backup space. Opt for cloud hosting if you require a more flexible solution. You can opt for additional resources whenever you want. It will also help you save costs. Go with dedicated hosting if you require more resources and a highly reliable hosting solution. Pricing, resources, speed and other factors will depend on your website’s specific needs. At Global Host Inc., you can find a number of packages for each of the hosting solutions. Talk to our team of experts to find the right package for your website. If you’re new to hosting, we also offer a web hosting solutions that are perfect for beginners.